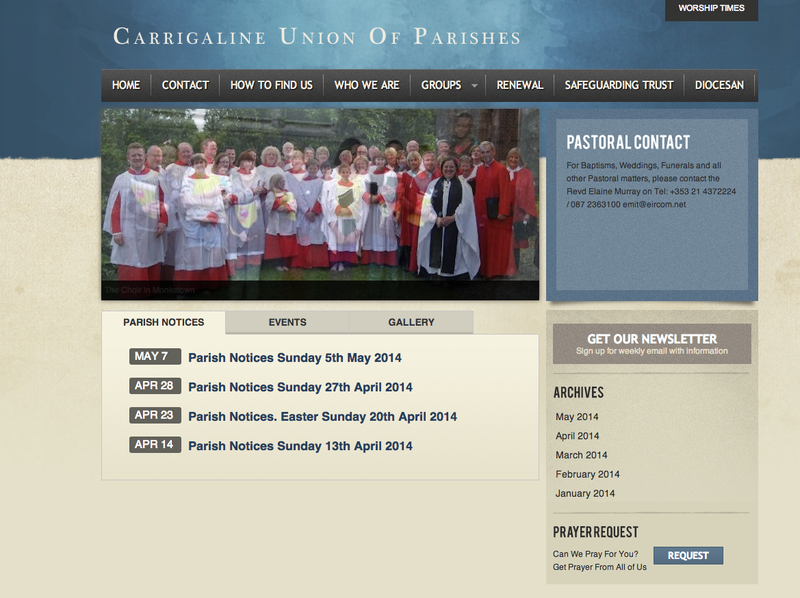 On the final day of the General Synod of the Church of Ireland, Saturday, 10th May, 2014, it was announced that in the awards given by the Church of Ireland Communications Committee, the parish of Carrigaline Union in the Diocese of Cork had won the prize for best parish website. 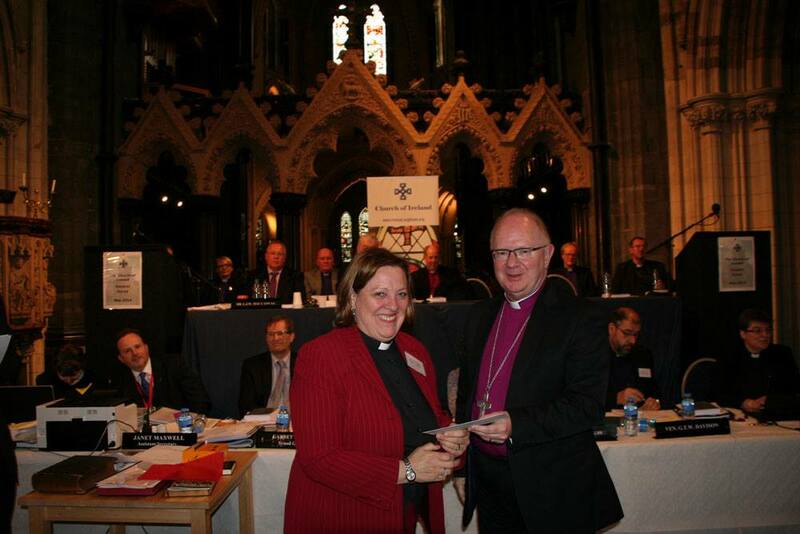 The rector, the Reverend Elaine Murray, was on hand to collect the prize. Very well done! The website may be found here. This entry was posted in Church of Ireland, Diocese, Parish News, People from the Diocese. Bookmark the permalink.